A community is where the group of people lives in the same place. 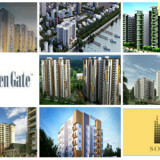 Gated community is another name for a place with immense security and privacy accompanied with additional amenities. 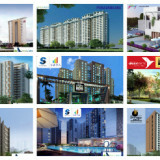 In the city like Bangalore where there is so much of hustle and bustle in the midst of busy life, you obviously need and expect your abode to have enough security, peace and privacy for your family. So gated community apartments are your stop for this. Some gated communities in the city also called guard-gated communities, are staffed by private security guards and are often home to high-value properties, and/or are set up as retirement villages. Some gated communities are secure enough to you the feel of fortresses. The apartments in such communities have a variety of amenities but these amenities depend on the location, community structure and type of housing. Such kind of communities often have low rise apartments with landscaped garden around them and such arrangement of apartments are called Garden Apartments. So if you want a community for yourself you can come and explore the uniqueness of such gated community apartments. 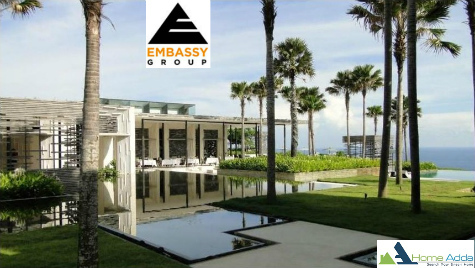 Embassy Springs is a Pre launch residential township by Embassy Group. This project is developed in 300 acres single plot located in Devanahalli, North Bangalore and expected to be completed by 2017. 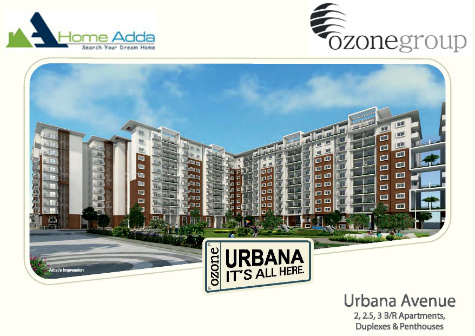 Ozone Urbana Avenue is part of Ozone Urbana, it is a lifestyle residential project coming up proximate to BIAL, Devanahalli, North Bangalore. 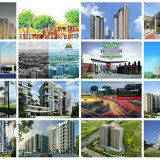 This project provides options of 2, 2. 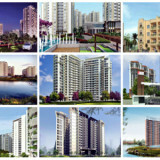 5 and 3 BHK Apartments and is spread across 150 acres of wide developmental area with price ranging from 72 L – 1.57 Crore. Ozone Urbana Irene is a retirement community of 172 senior friendly apartments project specially created for senior citizens helping them to enjoy their retirement life coming up proximate to BIAL, Devanahalli, North Bengaluru. 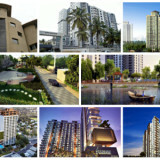 It offers a luxury residential units which provide sophisticated residential units of 1, 2, 2. 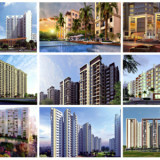 5 & 3 BHK condo with starting budget of 30.95 – 66.65 Lakhs. 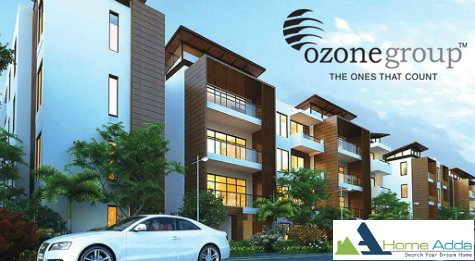 Ozone Urbana Alcove a boutique low-rise residences, designed keeping in mind modern day comfort & luxuries situated in Devanahalli, North Bangalore. 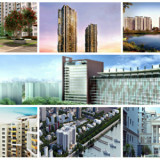 It spreads across a land area of 150 acres offering 2, 3 & 4 BHK Apartments and starting budget from 78.44 Lakhs onwards. 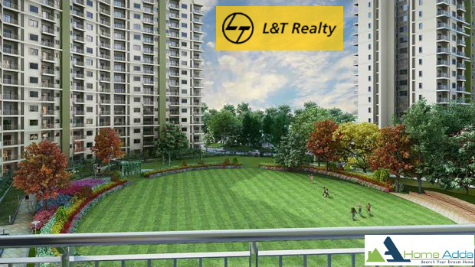 L&T Raintree Boulevard is a ongoing project from the prime builders L & T Realty offering the premium residential units in a gated community that is placed in Hebbal of North Bangalore. This Lifestyle apartment is spread over 65 acres and offers 2, 3 & 4 bedroom apartments with Starting Budget from 95.58 Lakh onwards. This project includes with best amenities like Luxurious landscaped gardens, An azure swimming pool, Senior citizens area, Kid’s play area. 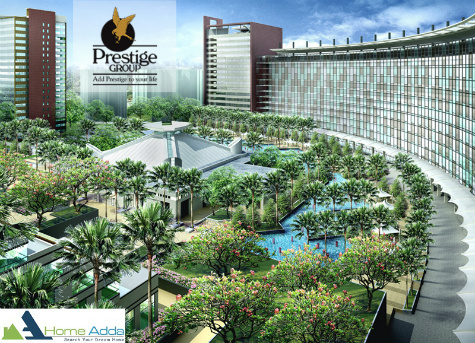 Prestige Lakeside Habitat is an Ongoing Venture by Prestige Group that spans over 102 acres land area comprising the coolest apartments of 3426 units situated in Varthur of East Bangalore. 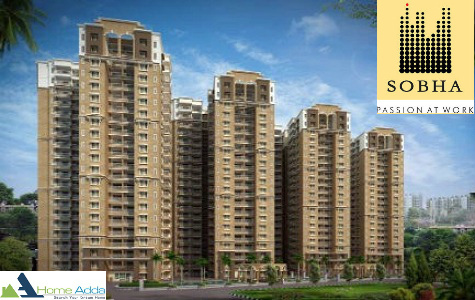 It offers 1, 2, 3 and 4 BHK Apartment with the budget of 65.37 Lakhs and expected to be completed in the year 2018. 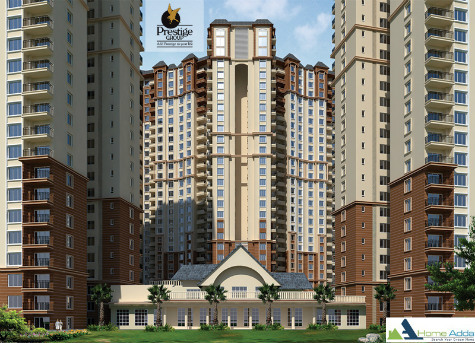 Prestige Falcon City which is placed at Kanakapura Road in South Bangalore. This is mixed used development venture with an apartment complex on 48.6 acres of the land area offering 2, 2.5, 3 and 4 BHK condo with the starting budget of 81.24 Lakhs and expected to be completed in the year 2018. 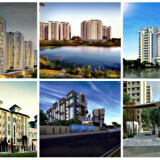 Sobha City is an Ongoing Luxury Venture by Sobha Limited located in Hebbal, North Bangalore. It offers 4 BHK Apartment with the total built-up area of 1392 sq.ft to 2792 sq.ft and cost ranging from Rs 1 Cr to Rs 2.20 Cr with amenities like Restaurants/ Cafe, Multi-purpose halls, Badminton courts, Squash courts, ATM and expected to be completed in June 2017. 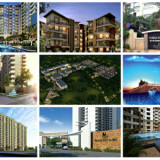 Sobha Dream Acres is an Ongoing project by Sobha Limited that has placed in Panathur Road, East zone of Bangalore. 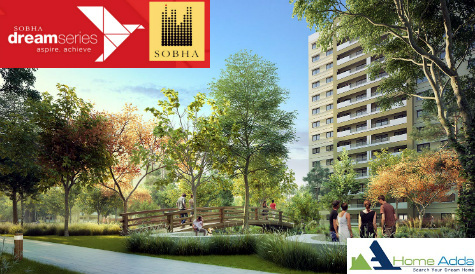 Sobha Dream Acres project is developed in land area summing to 81 acres that offer 1 and 2 BHK condo and starting a budget from 35 Lakhs onwards. 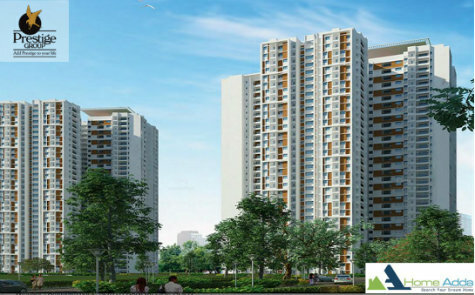 Bhartiya City Nikhoo Homes is an Under Construction Venture from the Builder Bhartiya City Developers Private Limited which is arranged in Thanisandra Main Road of North Zone Bangalore. This project offers of 1, 1.5, 2, 2.5, 3 and 4 BHK Apartment with the built-up area of 760 to 2559 sq.ft and price ranging from Rs 44 L to Rs 1.07 Crore also includes amenities like Indoor Games, Play Area, Lift, Aerobics Room. Prestige Shantiniketan is a novel project that redefines property development, integrated township developed by Prestige Group located in Whitefield, Bangalore. This residential zone consists of 3000 condos with its independent access and support facilities with best amenities like Coffee Shop, ATM, Food Court, Convenience Store, Fitness Centre, Travel Desk are planned as a part of the development. 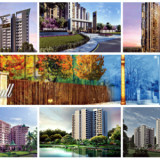 Godrej Devanahalli is a novel upcoming residential Venture by real estate icon of the Country Godrej Properties. 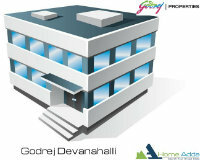 Godrej Devanahalli is a multi-dimensional project which is placed in Devanahalli of North Bangalore.